In 2011, David Kastin released the award-winning Nica’s Dream, a jazz journalist’s take on the life of Pannonica de Koenigswarter, the European baroness who gave up home, husband and children to devote herself to jazz. 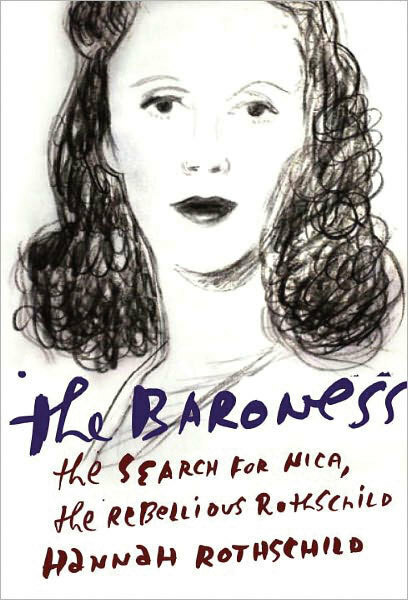 Now, providing another side of the story is The Baroness by Hannah Rothschild, the acclaimed documentarian who happens to be the great-niece of her book’s subject. Such lifestyles often lead to champing at the bit, and in this family, insurrection was accomplished through means both respectable, as with Nica’s sister Miriam, a celebrated science academic, and tragic, like those of Nica’s father, whose unshakeable depression led him to slit his own throat in 1923. Within this context, the author suggests, Nica’s flight into the world of jazz, allegedly prompted by an encounter with a recording of Thelonious Monk’s “‘Round Midnight,” seems more understandable, one of a series of Rothschild revolts against the family status quo. Despite these issues, The Baroness is a worthwhile read. It provides a fresh perspective on a heavily mythologized tale while serving as a reminder of the breadth and complexity of the music and the people who fall under its spell. The book’s subtitle may brand Nica as “the Rebellious Rothschild,” but as The Baroness illustrates, rebellion is the jazz world’s native tongue.